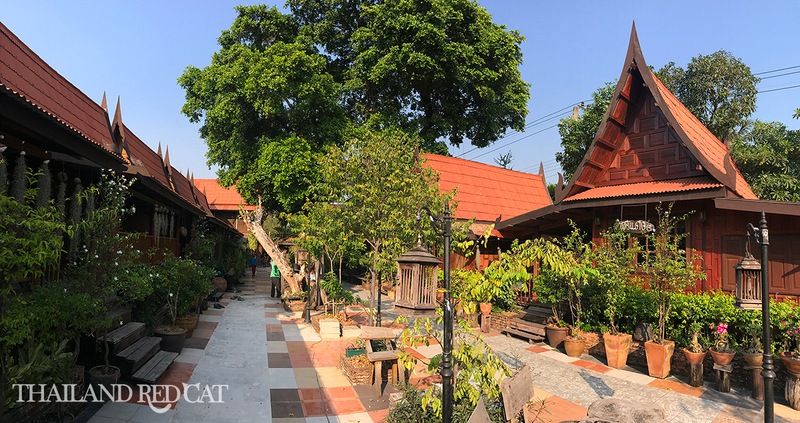 Yesterday on Valentine’s Day my girlfriend and I wanted to go somewhere for a day trip, and since we didn’t want to do our usual Old-Town-Khaosan tour and see something new, we decided to check out Bang Krachao which is known (or marketed) as the “Green Lung of Bangkok“. And it’s actually an island! Bang Krachao is very close to Bangkok, just on the other side of the Chao Phraya River in the southern part of town, but actually located not in Bangkok but in the next province called Samut Prakan. As I said we wanted to go there for a day trip, but we liked it so much that we spontaneously decided to spend the night there. 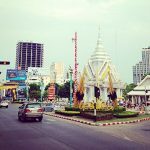 As I’m writing this post right now I can’t believe that it took me more than 4 years living in Bangkok to discover this idillic, calm and fun little island that you can get quicker to from downtown Bangkok than to Khaosan Road! 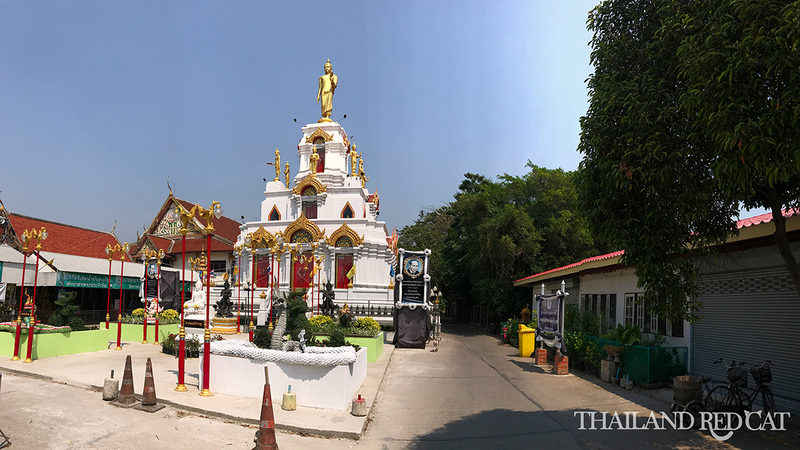 We drove from our apartment in Ratchada by motorbike to Wat Khlong Toei Nai in southern Bangkok. 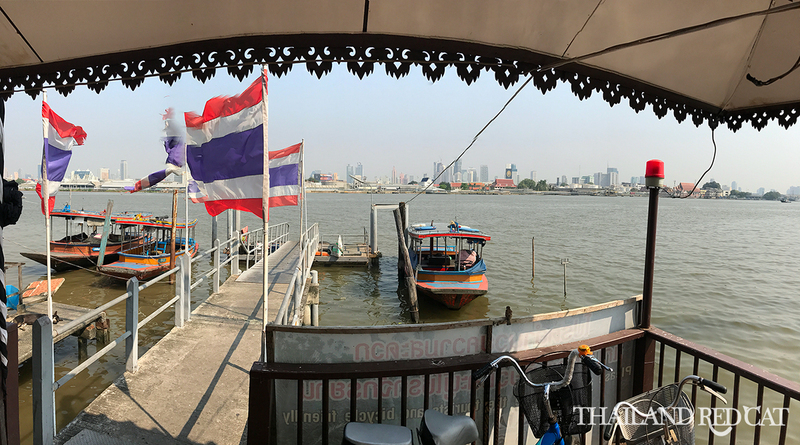 There we parked the bike and walked to Khlong Toei Pier which is right around the corner. 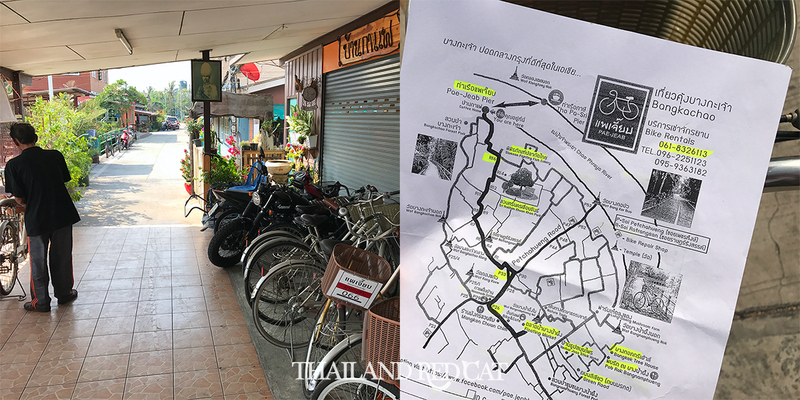 You can also take the MRT to Khlong Toei Station and from there take a taxi to Wat Khlong Toei Nai for 50-60 Baht (by meter). 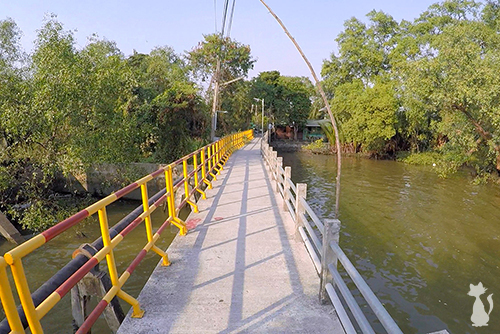 From there walk to Khlong Toei Pier which is just 3 minutes away – see the map at the end of the guide. Once you arrive there, you will immediately be greeted by an older Thai couple that has bicycles for rental. 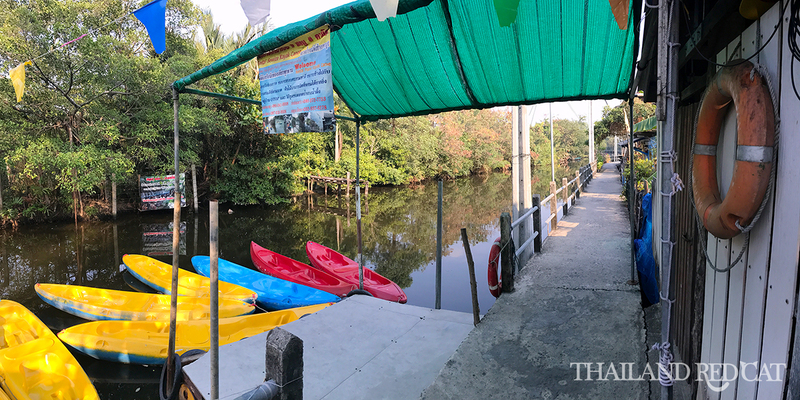 They charge 80 Baht for a full day – if you rent them in the center of Bang Krachao it’s just 50 Baht, but it’s a bit far to walk there. They also provide you with a free water and map. 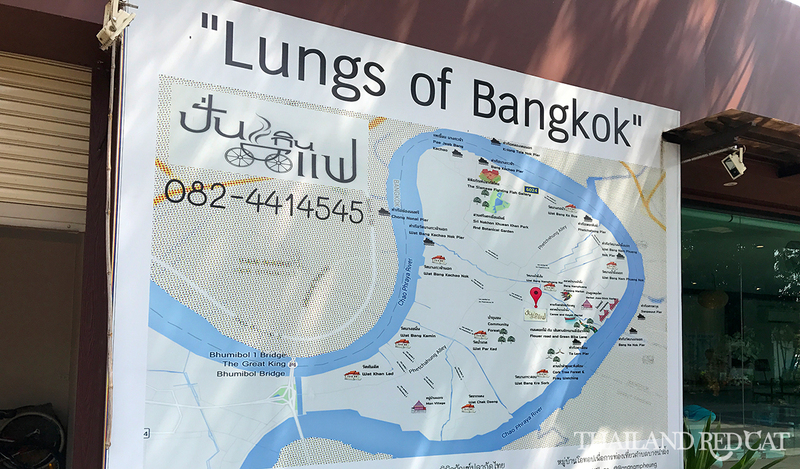 We started riding our bicycles to the interior of Bang Krachao. 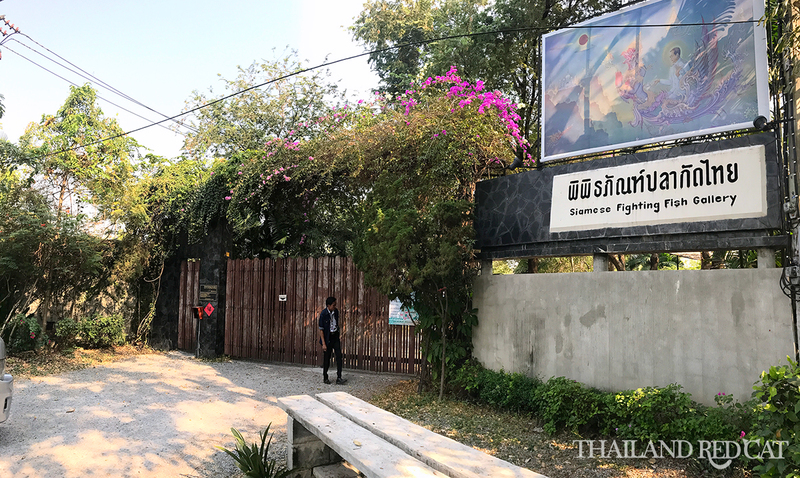 The first highlight we saw was the Siamese Fighting Fish Gallery, which unfortunately is only open on Saturdays and Sundays. We soon reached the botanical garden, or to call it with its full name: Sri Nakhon Khuean Khan Park And Botanical Garden. It was really fun driving around with the bicycle – so calm, so few people, so refreshing (nice breeze) and so beautiful. 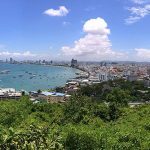 We continued our trip to Bang Nam Phueng, which is technically a separate district and not Bang Krachao anymore – but still the whole island is referred to as Bang Krachao. Unfortunately, that one was closed too. It only takes place on the weekend. 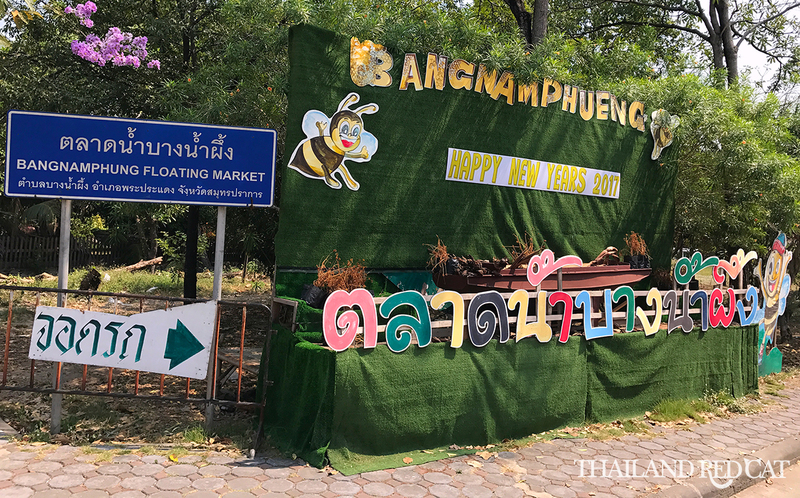 That doesn’t mean that you should visit Bang Krachao only on the weekend – there are many more people on Saturdays and Sundays and the Siamese Fighting Fish Gallery and the Floating Market were the only two attractions that were closed. Everything else was open. Right next to the floating market is the most beautiful temple in Bang Krachao: Wat Bang Nam Phueng Nai. From there we rode our bikes to the “Green Road” which is one of the most beautiful biking tracks along a canal. By the way, if you have enough from riding the bicycle you can also rent a kayak (80 Baht for 1 hour). Just make sure you do it in the late afternoon when it’s not so hot anymore. You can find all the mentioned highlights of Bang Krachao on the overview map at the end of the guide. 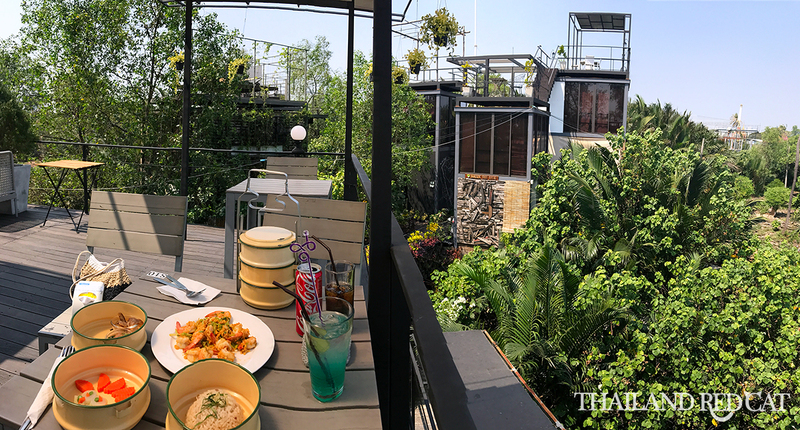 One of the big highlights of our trip was lunch at the atmospheric Bangkok Tree House. The views all around are fantastic and their food is delicious. You can also sleep there but it’s quite expensive – their room rates start at 3,900 Baht per night (3,600 Baht if you come with a Thai). We instead decided to stay in the Bang Nam Phueng Homestay which was 800 Baht a night. Not the worst place to spend the night on Valentine’s Day. Thanks for to share, nice. © Thailand Redcat. All rights reserved.